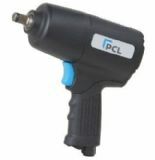 The PCL range of Prestige air tools offers the ultimate in performance for the serious professional user. This range of air tools incorporates market leading technology aimed at making the job faster and easier. Many tools in this range have a lower noise and vibration output compared to other tools in the market.